The losses for farmers, their families and rural communities are staggering. This devastation underscores the need for action. Solutions exist to help the agricultural sector build resilience and long-term prosperity, but the private and public sectors can’t delay implementing them any longer. North Carolina’s coastal plain, where its large-scale animal agriculture is concentrated, is uniquely vulnerable to river flooding. Heavy rains drench the region as storms like Florence move inland; then torrents of water rush back downstream, raising river levels and flooding communities. The swine floodplain buyout program provides farmers in the 100-year floodplain with economic options for alternative livelihoods, helping them transition to crop farming or purchase a farm in a safer location. It’s popular with farmers and supported by agricultural organizations. EDF is a partner on a U.S. Department of Agriculture award that matches state and federal funds to add $5 million to the buyout program – the first new funding for the program in ten years. The Division of Soil and Water Conservation, which administers the program, estimates that the new funding is sufficient to close fewer than 10 hog farms. Sixty remain in the 100-year floodplain, so further funding will be critical. The state should develop a similar program that prohibits any additional siting of poultry farms in 100-year floodplains and assists poultry farmers in closing farms that currently exist in those vulnerable areas. The state should also conduct an analysis of the farms that flooded, and where they are situated in the existing floodplain maps. That will allow us to understand where the most vulnerable regions are, and how well the impacts align with the 100- and 500-year floodplain designations. Extreme rain events are the new normal for our state. Open manure lagoons create risks and manure management challenges every time there is heavy precipitation, including but not limited to hurricanes. North Carolina is home to more than 2,000 hog farms, yet the Environmental Protection Agency lists only 12 anaerobic digester projects in the state. Farmers who have adopted digesters or lagoon covers protect their lagoons from excessive rainfall events such as Hurricane Florence. Hog lagoon covers prevent rain and floodwater from inundating lagoons and mixing with manure. 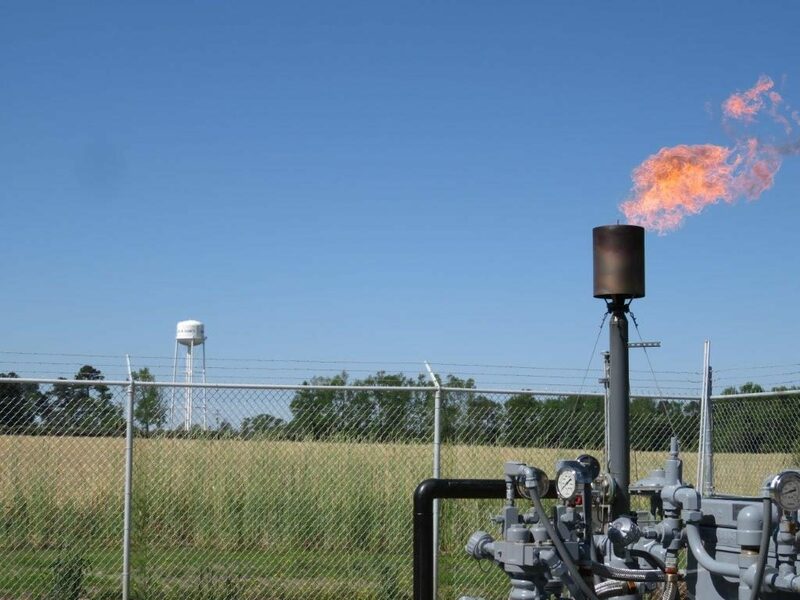 These technologies have the additional benefits of capturing manure methane emissions, which can be used as natural gas in place of fossil fuels. This biogas model presents opportunities to generate revenue for farmers and create jobs in rural areas. The damage caused by Hurricane Florence should inspire the public and private sectors to redouble efforts to assist the hog industry in transitioning to advanced manure management technologies. With several functioning pilots in place, we must develop the path for other farmers to follow their lead. 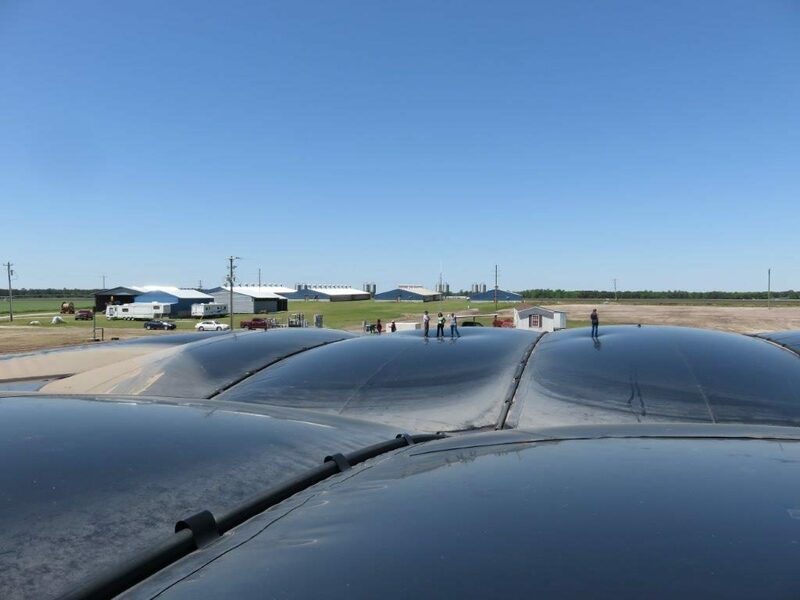 Smithfield’s Optima biogas project in North Carolina collects gas from manure digesters on three farms and then injects the gas into the natural gas pipeline. Possible sources of support include developing low-cost financing for farmers who invest in advanced manure management technologies, creating new resources to assist farmers in putting together the technical and financial parts of these projects, and providing public funds to support the adoption of additional treatment technology to meet North Carolina’s Environmental Performance Standards. 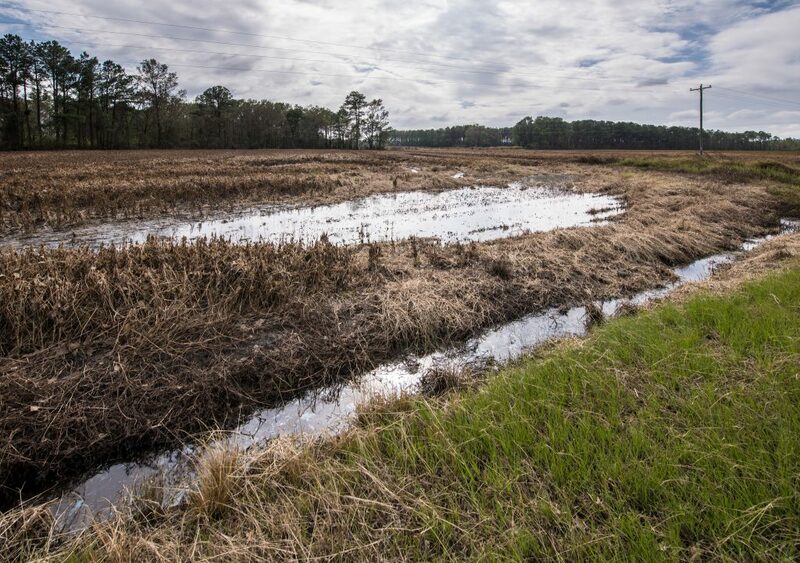 Hurricane Florence has capped off a very challenging and divisive year for those seeking solutions to North Carolina’s manure management challenges. However, the majority of stories I’ve heard from those affected by the storm are of neighbors helping each other. This spirit is something we should carry into the recovery efforts with open minds and hearts, and the belief that solutions are possible if we work together with our neighbors. Inclusive solutions that increase resilience must be at the core of efforts to build back stronger and smarter. It’s the only way to ensure a safe, healthy and prosperous future for all North Carolinians. This entry was posted in ecosystems, Sustainable Agriculture and tagged biogas, coastal plains, digester, Environmental Protection Agency, EPA, farms, flood, floodplain, hurricane, Hurricane Florence, Hurricane Matthew, lagoons, manure, methane, North Carolina, Optima, pigs, resilience, Smithfield, U.S. Department of Agriculture, USDA. Bookmark the permalink. Both comments and trackbacks are currently closed. I did not hear your solution for the municipal waste treatment plants that fail at a higher rate than agricultural waste sites. It would seem to me human wadtetwould be far more dangerous than agricultural waste which you seem to be an expert on. What happens to a lagoon cover when 35 inches of rain falls on it? The industry did a good job of moving farms out of the flood plain after hurricane Floyd. These new storms seem to be re writing the flood plain maps. I know the farmers and industry leaders will re evaluate high risk farms. I would think this should also apply to other waste treatment facilities and industries. The reality is that we can never fully prepare for these never before seen rainfall levels in areas that have never been flooded. Cleaning and dredging the rivers after each storm would also help with future flooding. Having more pourous surfaces in areas of urban development to prevent runoff would also help. Limiting development in areas near streams and rivers. There are a lot that we can all do to help with future flooding. It is not all on farmers and ranchers. Contractors should be charged an impact fee for every animal they contract to purchase. Those funds should be designated for sewage/waste treatment solutions. Taxpayers have an interest in protecting the environment but WHY isn’t that built into the “cost of doing business” for the people who rack up the biggest profits. Let’s ALWAYS support that triple bottom line of People, the Planet and Profits.